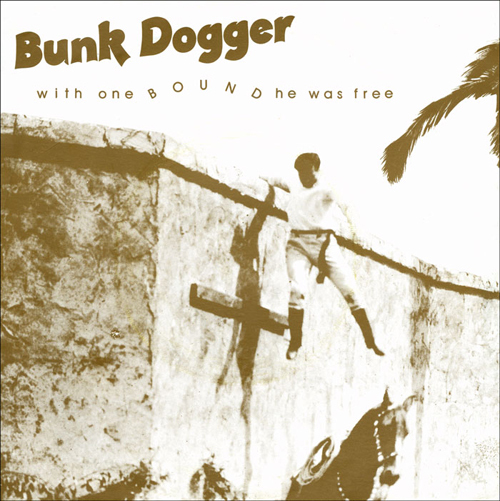 In the annals of music history, the name “Bunk Dogger” isn’t likely to ring many bells. And before last week, I had never heard of him either. However, I stumbled across a reference to the two strange albums he released in 1978 and 1980: First Offence and The Great Detective. 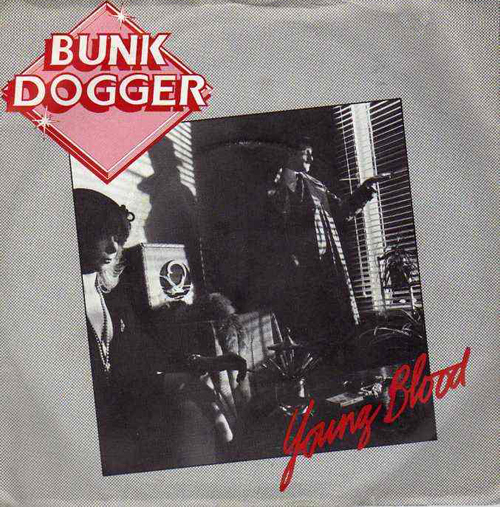 Doing a little more research, I found out that, of course, Bunk Dogger was really just a pseudonym. In this case, for one Tim Phillips. The song titles drew me in…”Please Don’t Tease”, “French Lessons”, “With One Bound He Was Free, “Send in the Clones”…but it was the album cover art that really piqued my interest. They were all funny – from the two main albums to the singles. Turned out the songs were a mishmash of New Wave, 50’s Doo-Wop, and other styles. Many were parodies, and very few (if any) were serious. They bring to mind ex-Fleetwood Mac guitarist Jeremy Spencer’s eclectic parody of musical genres on his first solo album, and Peter Sarstedt’s 1969 hit “Where Do You Go to My Lovely?” (especially Dogger’s “French Lessons”). To be honest, though, I’ve found Dogger’s songs only mildly amusing, and not really laugh-out-loud funny. However, the whole package – songs, album covers, name – was enough to get me doing some more online research. In piecing together the story, my jumping off point was the fan page http://bunkdogger.com Information is a bit sketchy there, but it’s a good place to start and it’s also a good place to sample an array of his music. My digging also found that Tim Phillips, despite being called a “well-known rock musician” on the fan site, seems pretty obscure. I also read that he “often shared the stage” with Genesis in their early years and that he participated in session work with Genesis back then. These claims are also suspect, as Genesis didn’t really use session musicians and he’s not credited on their albums. This information may possibly be traced to a prog band called Spreadeagle on the Charisma label that Phillips sang with, as well as played guitar, banjo, and piano. Spreadeagle opened for Genesis in 1972 at least once, so I guess you could say he “shared the stage”. I’ve read references elsewhere, probably stemming from a comment from the editor of Sterophile magazine that he was a rock writer. This could just mean that he wrote rock songs, not that he wrote about rock music…but then again, maybe he was a music journalist as well. From most accounts, Phillips worked as a session musician after Spreadeagle and was eventually signed to RCA Records. Somehow he convinced them to let him record under the fictitious name Bunk Dogger (shades of Buck Rogers? ), reportedly so he could record songs in a variety of styles (I’m not quite sure why he couldn’t do that under his own name, since he wasn’t really that known to begin with and he wasn’t releasing albums as Tim Phillips). Basically, we can assume RCA felt they had a comedy act on their roster, though Dogger’s music was much more advanced than your typical singing comedian’s. He was produced by Tony Cox (who worked with Yes, Fairport Convention and more) and guests on his albums included singer/songwriter Lesley Duncan (author of Elton John’s “Love Song”), erstwhile pianist Pete Wingfield (Van Morrison, Paul McCartney), and Andy Roberts (solo artist and guest on albums by Roy Harper and Pink Floyd). 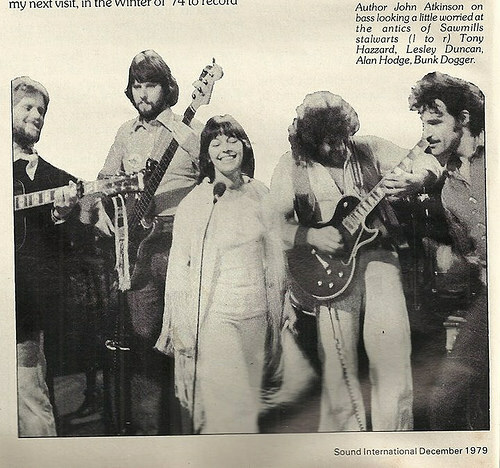 Initially, two singles were issued under the name Bunk Dogger – “Red Alert” / “Whenever I See Your Light” in 1974 and “Wrap It Up” / “20/20” in 1976. Furthering the Bunk Dogger “mystique” at the time, though, RCA released very little press on him and the average record buyer didn’t know if it was a band or a person. No concert tours were forthcoming either. When First Offence was issued, it was accompanied by the singles “French Lessons” and “You Know the Sandman”. A flurry of additional singles were released the following two years, most centered on the tracks from his final album, The Great Detective, released in 1980. In the interim between those two albums, Dogger guested on the track “No Spacemen” from the album Catastrophe Rock by Tone Deaf and the Idiots (you couldn’t make this stuff up if you tried). Still going by the name Bunk Dogger, Phillips was in a band with Tony Cox called The Golant Pistons in 1982, who issued an album called Changing Seasons of Rock. Rumor has it that he also recorded an all instrumental album in 1982, released only in Germany. In a strange twist, on the otherwise all classical soundtrack for a 1984 TV movie Nadia (about gymnast Nadia Comaneci) Bunk Dogger is credited as composer of one song (“Heart of Hearts), as is Tim Phillips (“Midnight Starvation”). A case of multiple personalities! Both these songs were on the Golant Pistons album (with “Midnight Starvation” listed as “Night Starvation”). After that, he seems to have disappeared from music. About those album covers, though. First Offence was designed by the Hipgnosis team, famed for all those Pink Floyd covers, as well as Led Zeppelin, Yes, Genesis…in short, some of the most famous album covers of all time. First Offense, though, was a little too suggestive for many. Mary Whitehouse, founder of Britain’s National Viewers and Listener’s Association (somewhat like the PMRC) was outraged by the image, which helped lead to it being banned from play on the BBC. 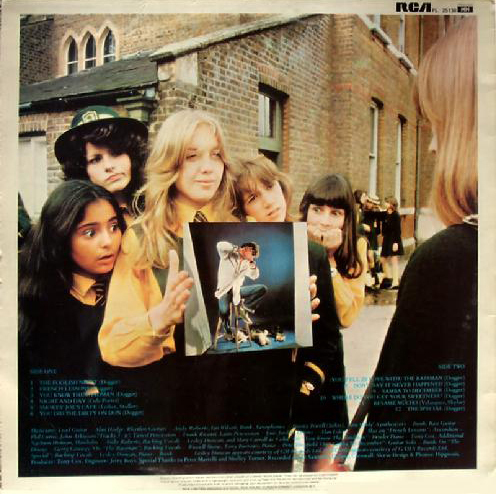 The back cover shows the girl is only holding a photo though, um… right?…..
1980’s The Great Detective and its single “Young Blood” featured art evoking the hardboiled noir detective stories of the 1940’s/1950’s. They also bring to mind The Firesign Theater’s Nick Danger (itself a parody and homage to private detective stories). “With One Bound He Was Free” takes what appears to be an image from an old Western movie, or perhaps from a historical archive in Spain or Mexico (due to the palm tree). The word “bound” arcs upward, illustrating the word in a playful style. The back cover shows a suave Dogger, acquitted with monocle and cane, ready to head off on an expedition…either to the studio, or to his backyard. Another single from The Great Detective, “Please Don’t Tease”, also references the past – this time an old comic strip. 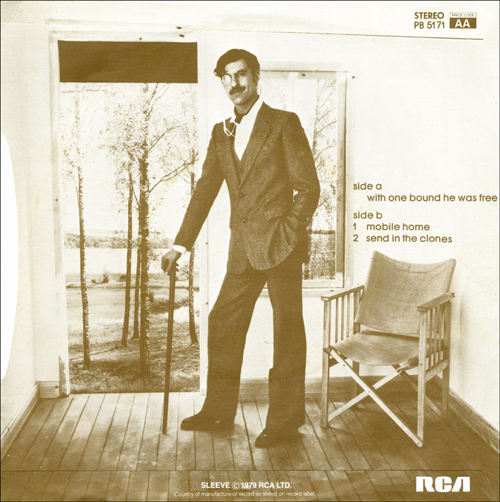 A mustachioed man resembling Dogger’s persona on the back cover of “With One Bound He Was Free”, implores a femme fatale “Please don’t tease!”, a design loosely tying in with the detective noir of the LP cover. Bunk Dogger. Even though he was little known then and even less known now, he did what he did well and was a welcome injection of humor into the sometimes too serious world of popular music. Where are you now Bunk Dogger, where are you now? I picked up Bunk’s Women In Uniform single in about 1981 and became an instant fan. I sought out much of his other stuff and ranted to anyone who would listen about the man. Even my music savvy friends yawned and moved on. I believed I was the only person in the world who knew of Bunk. Said girl was one of two Boys sisters who came to our club. Daughters of the Engineer/Producer Jerry Boys who worked extensively with Bunk (and many others). The world is certainly small. There is a facebook group dedicated to him but entry seems exclusive. I think possibly you have to be Tim Phillips to be allowed in! Thanks for your story – it’s a small world indeed! I did a gig at Demelza’s in Penzance with “Bunk Dogger’s Atom Spies” around 1983. Great fun! Dave Bowler was on sax, I was doing percussion … I can’t remember anything else really apart from that it was a lot of fun!